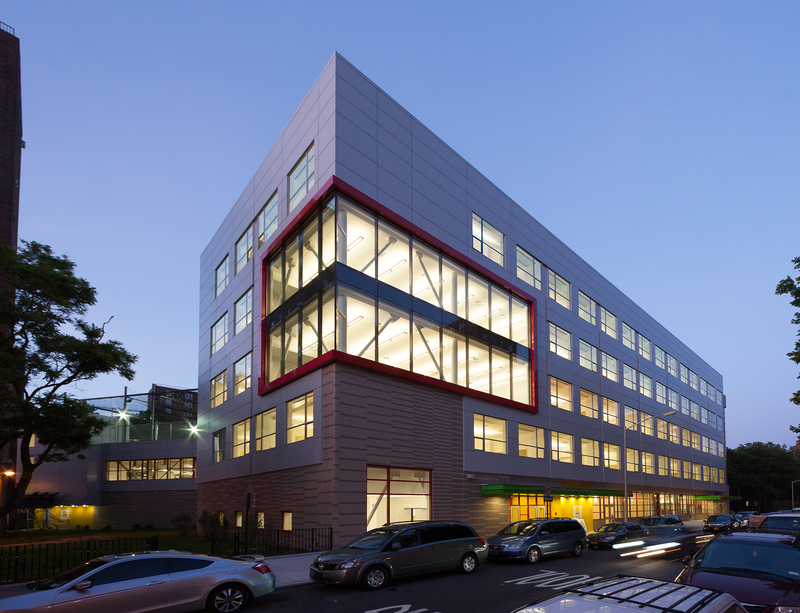 Harlem’s Children’s Zone Promise Academy was built at the center of the New York City Housing Authority’s St. Nicholas Houses as a model for the federal Promise Neighborhoods program. This high-profile project required unprecedented cooperation between non-profit partners and city, state, and federal agencies. In just 15 months, Type A Projects principals completed pre-development, design work, and negotiated multiple city funding and development agreements, shepherded the ULURP approval process allowing for the re-mapping and re-construction of West 129th Street, and completed the federal HUD land disposition process. This complex, fast-tracked pre-development process was followed by expedited construction of the building, infrastructure, street, and property. The completed facility accommodates 1,300 kindergarten to 12th grade students with more than 50 classrooms, art, music and dance rooms, science labs, two libraries, a gymnasium, a future school-based health center, dedicated afterschool space, and rooftop play.